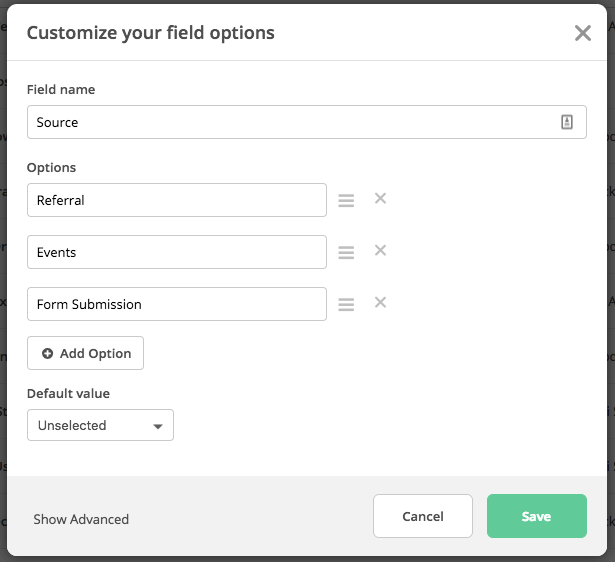 If you use—or are considering using—our CRM to manage your sales process or as a workflow management tool, you may find it valuable to start using custom deal fields. This guide will help you understand custom deal fields and how they can positively impact your sales processes and workflows. Learn from three use cases, and get some strategic guidance around what you need to consider as you transition to custom deal fields. What are custom deal fields? Custom deal fields allow you to capture and view additional pieces of information associated with a particular deal, right there on the deal card. Like custom contact fields, you can define the fields and field types. Custom deal fields help you keep all the information relevant to a deal in one place so it’s easily accessible, enabling you and other team members to easily review all the info, make decisions, and take action. Use them to collect the information that’s most helpful to you, like a deal’s geographic region, sales enablement information such as which competitor a deal may be at risk of being lost to, or revenue projection data such as a forecasted close date, or the deal’s expected revenue over time. 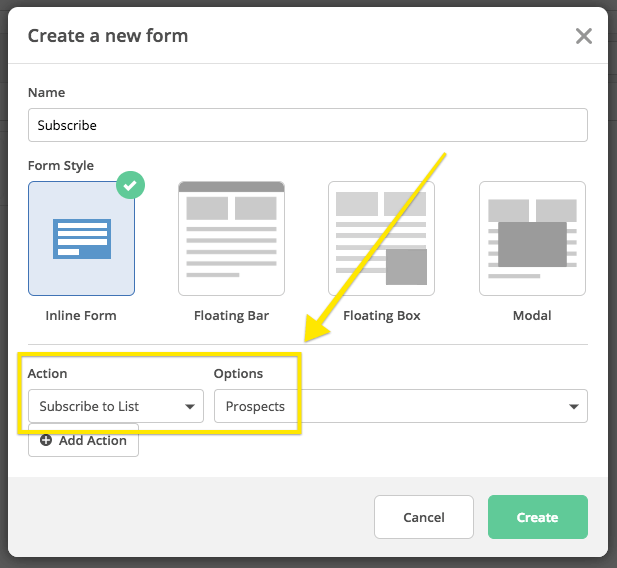 What’s the difference between custom contact fields and custom deal fields? Custom contact fields are associated with contacts and appear in the Personal Info tab of a contact’s profile page. Use custom contact fields to collect and store information you need about a contact, such as their birthdate, travel preferences, or fitness goals. Custom deal fields can be found with all other information associated with a deal when you click on a deal in a pipeline. Use custom deal fields to collect and store information related to a deal, such as the source of the deal, internal invoice or inventory numbers, or the reason why the deal was won/lost. Ready to see custom deal fields in action? Here are some use cases to help you get started. A custom field for a deal’s geographic region can help a proactive salesperson optimize their time. For example, if a salesperson located in Australia is up at the crack of dawn and wants to begin outreach to new deals, they can use custom deal field data to find deals located only within geographic regions where the time is currently within regular business hours. 1) Create a Geography custom deal field to collect a deal’s geographic region. 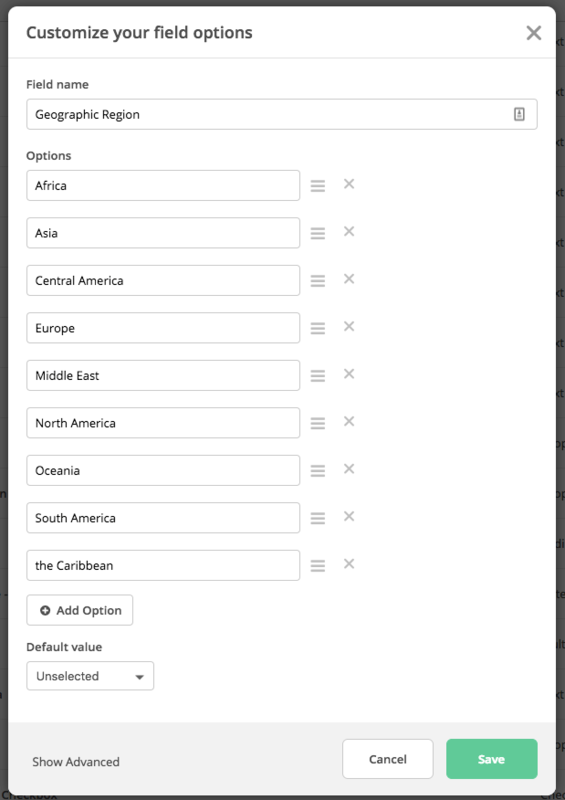 An example of a custom deal field created to collect a deal’s geographic region. 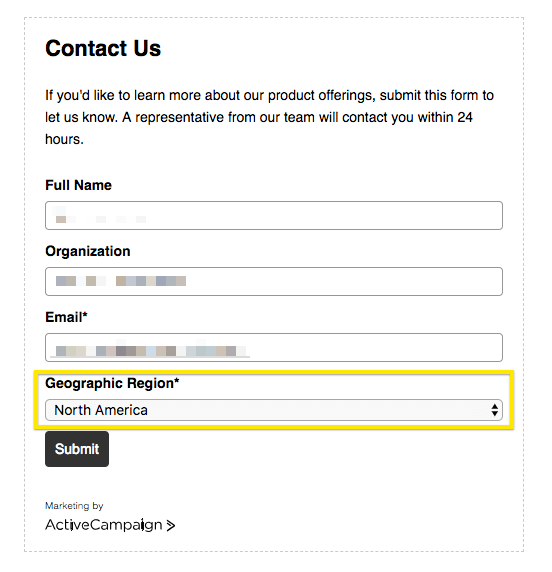 2) Create a Geography custom contact field to collect a deal’s geographic region in the form (see next step). A custom contact field identical to the custom deal field above. 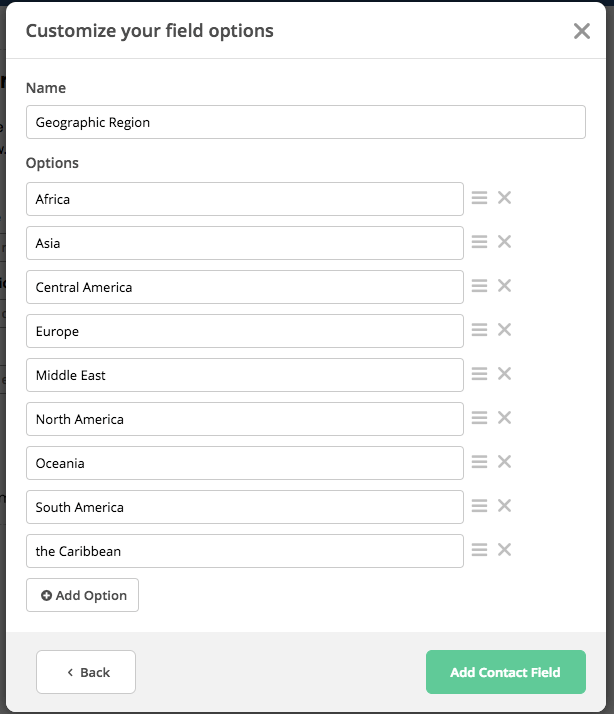 In this example, we’ll use a form containing this custom contact field to collect geographic region data. Then, we’ll use an automation to update the custom deal field with this data. 3) Create a form to collect deal information, including geographic data. The salesperson’s company has a form on their website that contacts can fill out to learn more about product offerings. The form includes the custom contact field that collects a contact’s geographic region. 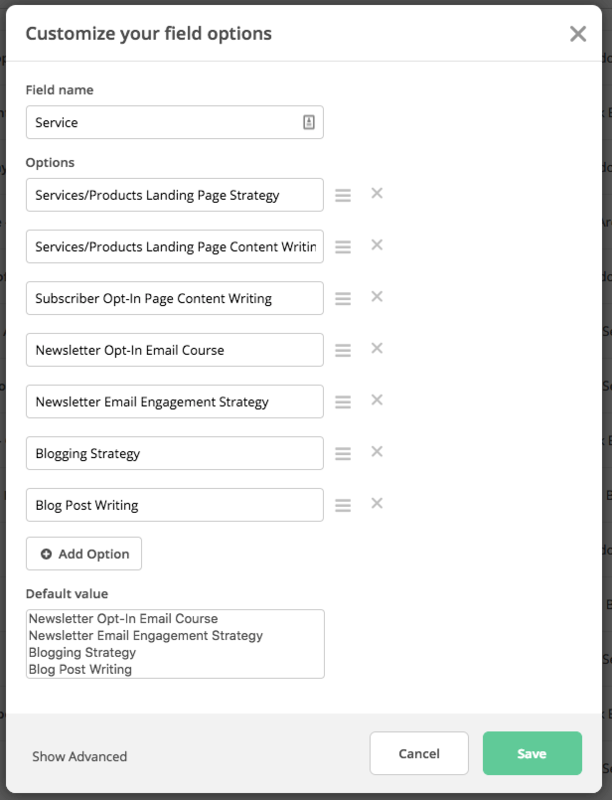 Example of a form integrated with a sales company’s website to source and collect information from new leads. 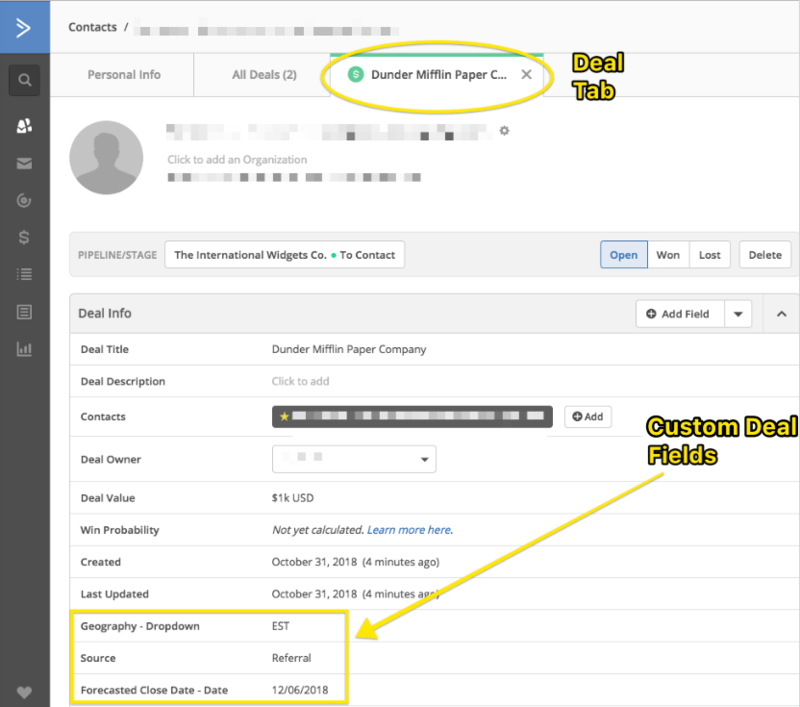 4) Build an automation that creates a new deal whenever the form is submitted, and copies data from the Geography custom contact field on the form into the Geography custom deal field. 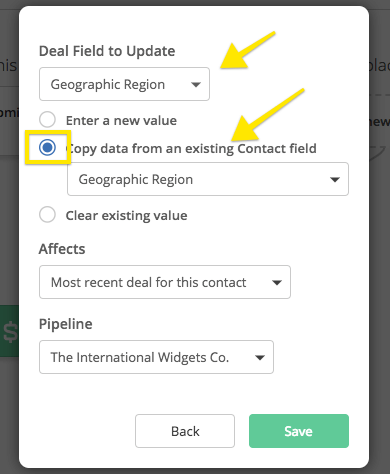 An “Update custom field” action configured to copy data from the “Geographic Region” contact field on the form to the “Geographic Region” deal field. 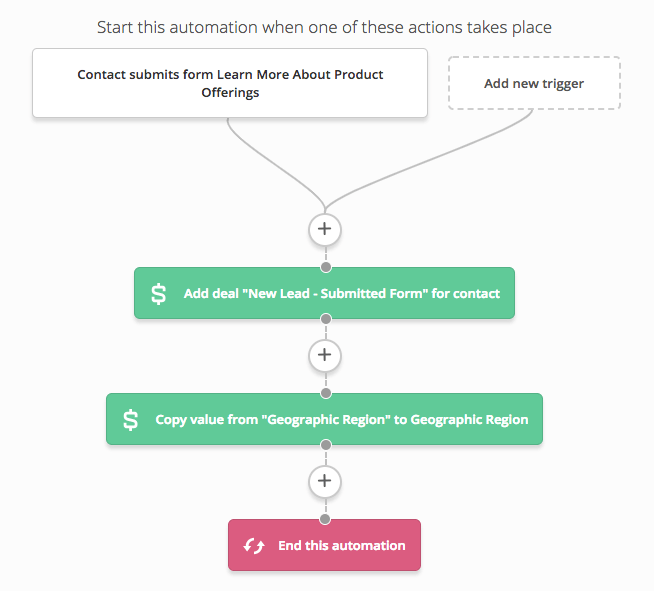 An automation triggered when a contact submits the form on the sales company’s website. 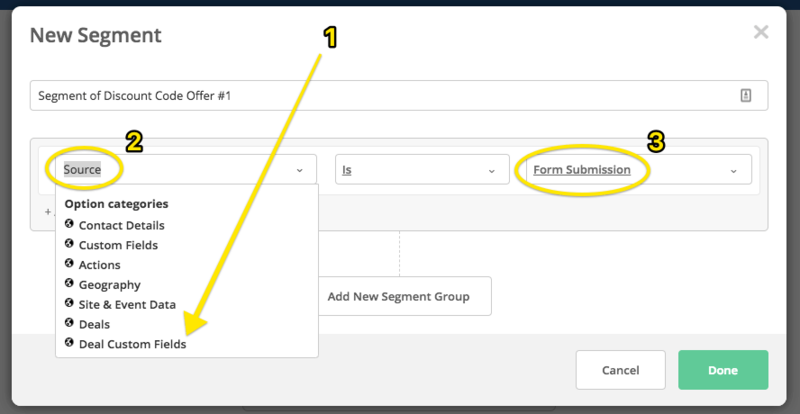 Each time the form is submitted by a new contact, the automation creates a new deal in the company’s sales pipeline, then copies the geographic region data from the contact field on the form to the deal field within that deal. Now, let’s return to our salesperson. With this setup in place, the salesperson can simply perform an Advanced Search to find all the contacts associated with deals located within a geographic region where the time is currently within regular business hours. These will be the deals that they can call up right now. To conduct an Advanced Search, the salesperson navigates to Contacts, clicks into the search bar on the Contacts page and selects “Advanced Search.” The salesperson can now use custom deal field data to search for contacts associated with a deal located within an appropriate geographic region. Selecting “Custom Deal Fields” from the Advanced Search menu. An example of an Advanced Search the salesperson can use to find contacts associated with deals in specific geographic regions. Custom deal fields can be used to pinpoint easy upsell opportunities. For example, take a marketing consulting company with a sales process that includes a push to upsell clients who are interested in a particular service. After a team member has a conversation with a potential client to learn more about their needs, that team member manually inputs which service(s) that deal is for into a Service custom field. An example of a custom deal field created to track which service(s) a deal is for. A potential client interested in newsletter engagement strategy may also be interested in hiring the consulting company to write a subscriber opt-in page, or might be interested in the newsletter opt-in email course they offer. With that information readily available in the deal, a team member can easily send a follow-up email highlighting those additional services. Open a deal to view its custom deal field data, such as which product or service a deal is for. Take quick action based on custom deal field info. 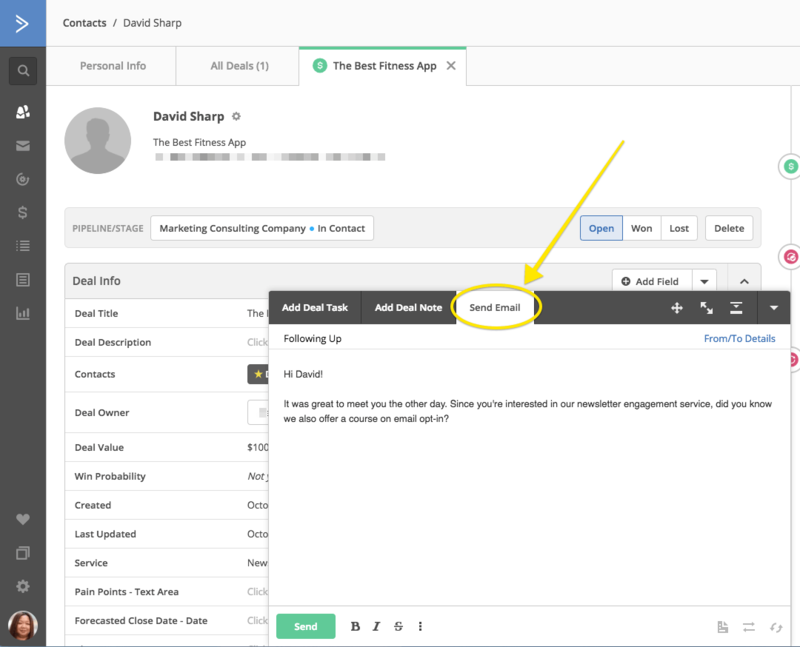 In this example, a team member can open a deal to see which service it’s for, and send an email highlighting related services that may also be of interest to that contact. Do you like to know where your deals come from? A Source field can keep that information handy for every deal. When you know how your deal was sourced, you can use that information to send specially targeted communications to your leads. For example, a life coach may have deals in their pipeline that are generated through referrals, in-person meetings and networking events, and whenever the form on their website is submitted. The deals that come through the form often don’t have that special in-person element, so the life coach likes to offer a discount code in a personalized message to those leads to sweeten the deal and establish trust upfront. 1) Create a Prospects list. 2) Create a Source custom deal field. An example of a “Source” custom deal field. 3) Create a form and add it to the life coach’s website. In this example, the form must have an action that adds a contact to the Prospects list whenever it is submitted. This ensures that prospective clients end up on the right list, which is key—the life coach needs to be able to email their prospective clients for this process to work. 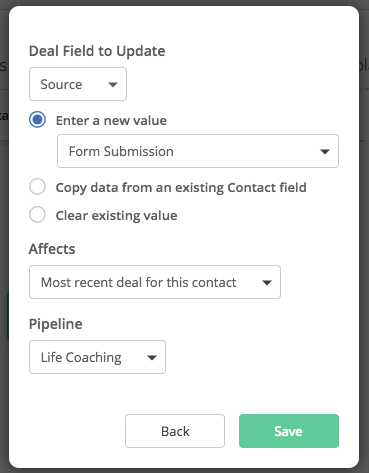 An “Update custom field” action configured to update a “Source” custom deal field with “Form Submission,” to indicate that a new lead came into the pipeline by submitting a form. Now, the life coach can prepare a campaign email containing the discount code. When prompted to select a list or lists to send to, the life coach will select the Prospects list, and add a segment condition: Deal Source = Form Submission. Selecting the “Prospects” list when sending a campaign email. 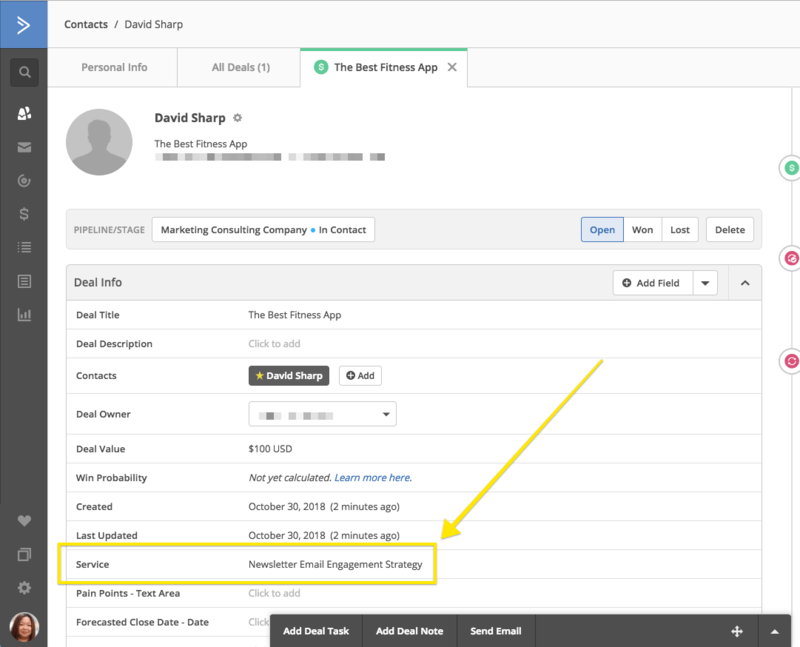 Using custom deal field data to further segment a list before sending a campaign email. This will ensure the discount code is sent only to prospective clients who submitted the life coach’s form. Whether you’ve been capturing your deal information elsewhere or you’re just starting to think about the information you want to collect to better inform your sales process, make sure you give some thought to how you transition to custom deal fields. What information would you like to capture for each deal? Where are you currently capturing deal information? In Notes? In custom contact fields? In other pipelines? How are your pipelines organized currently—by initiative, geography, product, or team? How would you like your pipelines to be organized? By product or service? By geographic region? Forecasted close date Reason a deal was won or lost? Or by competitor? How do deals make it into your pipeline? Are they added by a form or automation? Via API? UI? How far back do you want to populate custom deal field data? 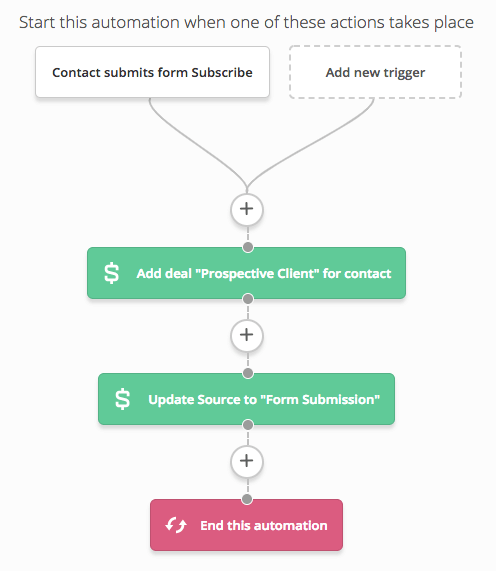 How will custom deal fields impact your current workflow/processes, pipelines, and automations? How will custom deal fields impact the different roles that use your ActiveCampaign account? For instance, how is your Sales team impacted? How is your Marketing team impacted? Who do you want to add/edit/delete your custom deal fields? How do you want to be able to view your custom deal fields? Once you have a clear understanding of how you’ll integrate custom deal fields into your current sales process, it’s time to implement them. Remember, be thoughtful not only about the information you want to capture, but how you’ll use it, so you can work with more information as you sell, target specific groups of contacts based on custom deal field data, and close more deals with more power and precision.